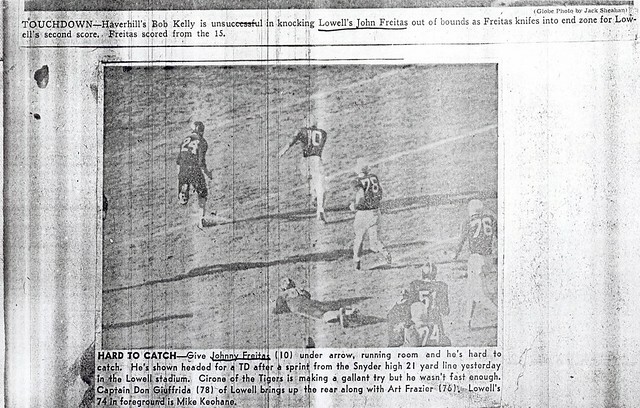 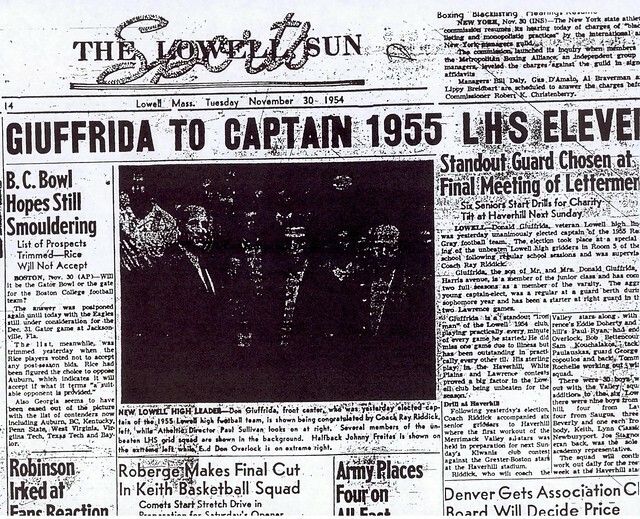 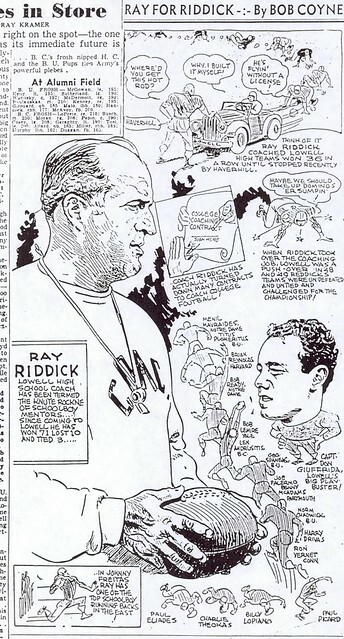 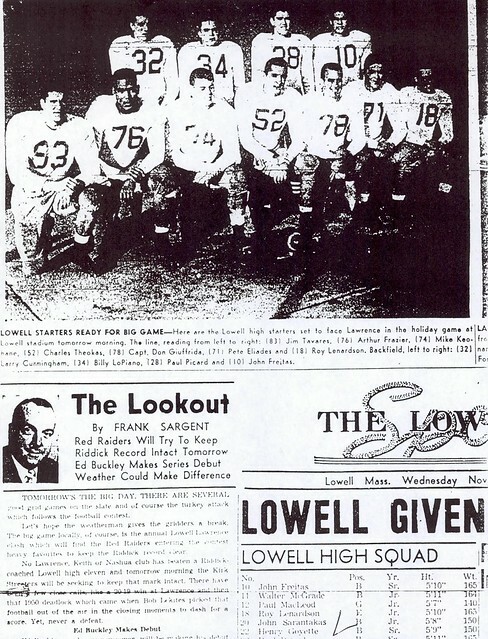 One of the truly outstanding two-way linemen in the long and storied history of the Lowell High School Football program, Don Giuffrida played an integral role in the successes of legendary Hall of Fame Coach Ray Riddick’s Red and Gray juggernauts of the mid–1950’s. 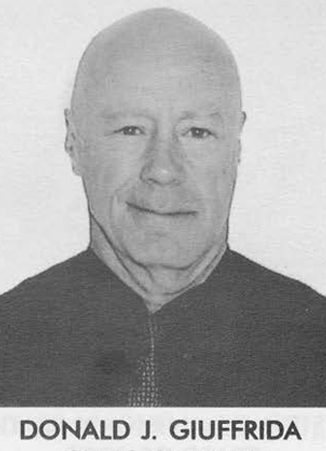 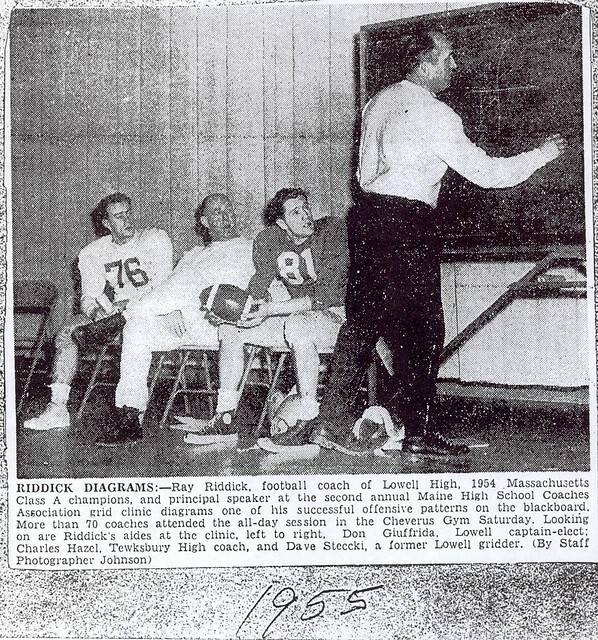 Don was a member of Coach Riddick’s Red Raider Varsity teams for his four years at Lowell High. 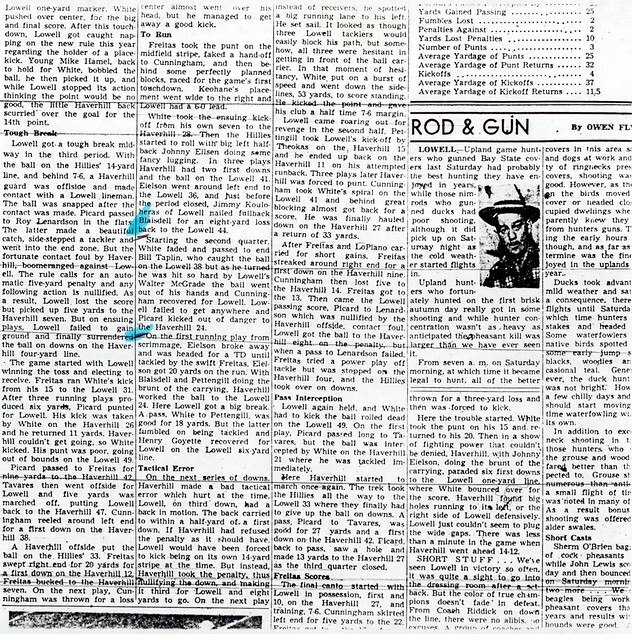 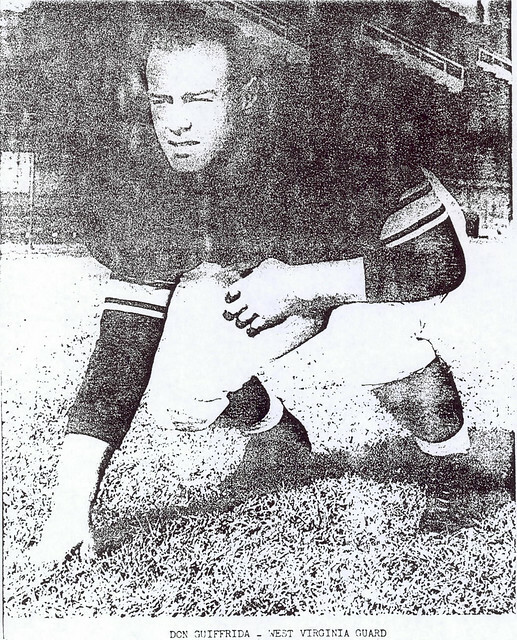 Beginning with his sophomore year and continuing through his senior season (1953–1955), Don compiled a remarkable record for durability. 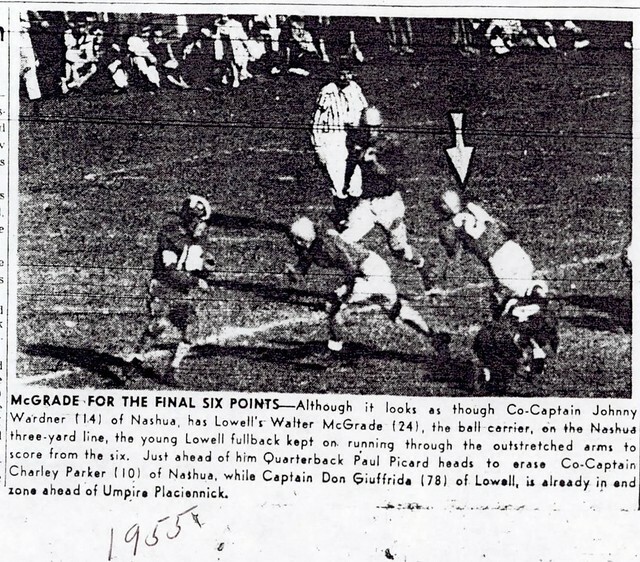 Over that three season period Don started at guard or tackle and played every down of every game (both offensively and defensively), including special teams, a true “iron man” accomplishment. 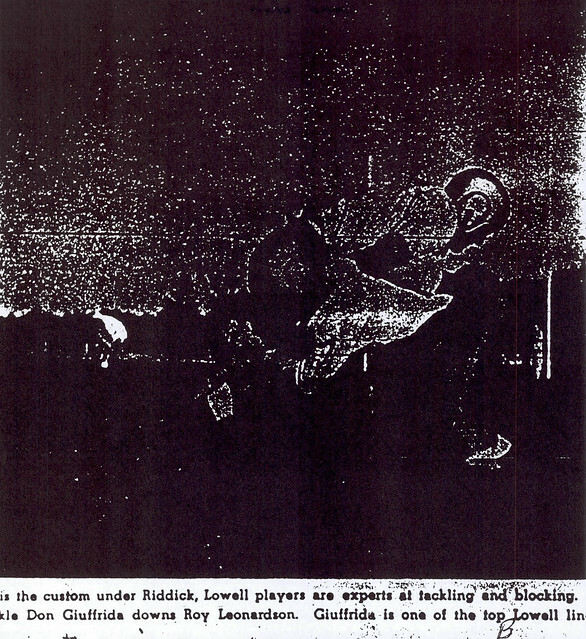 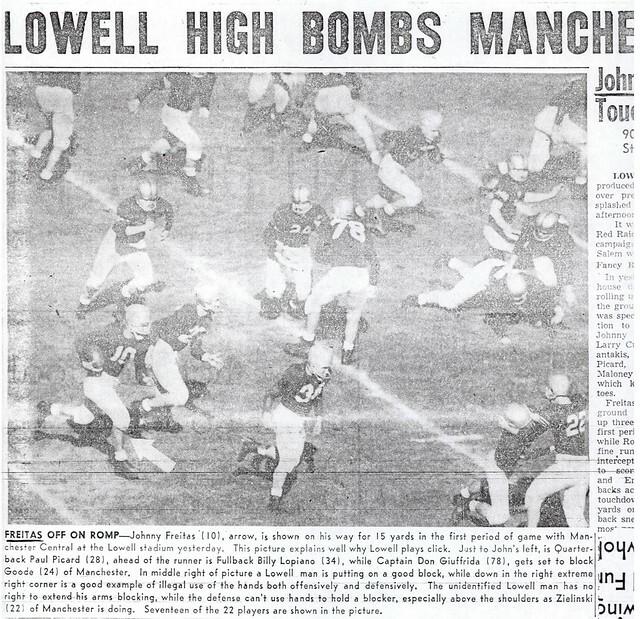 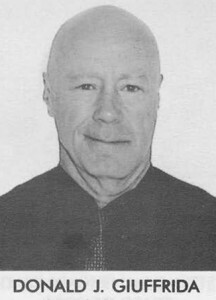 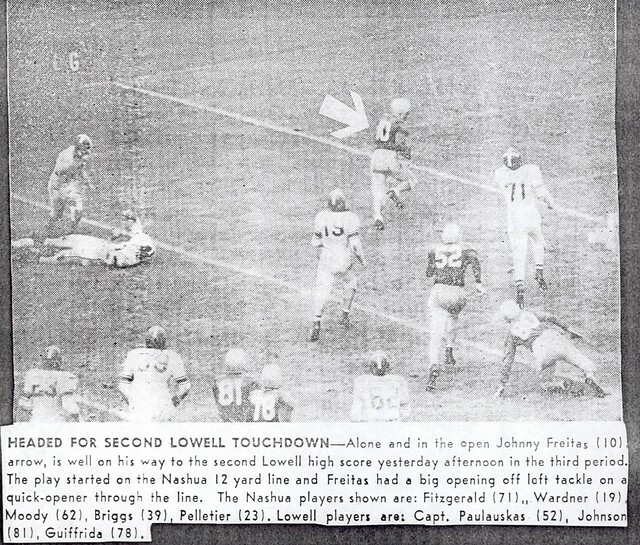 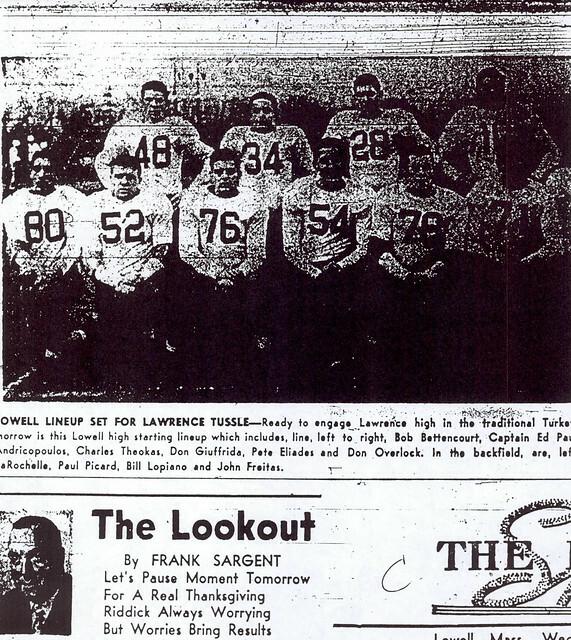 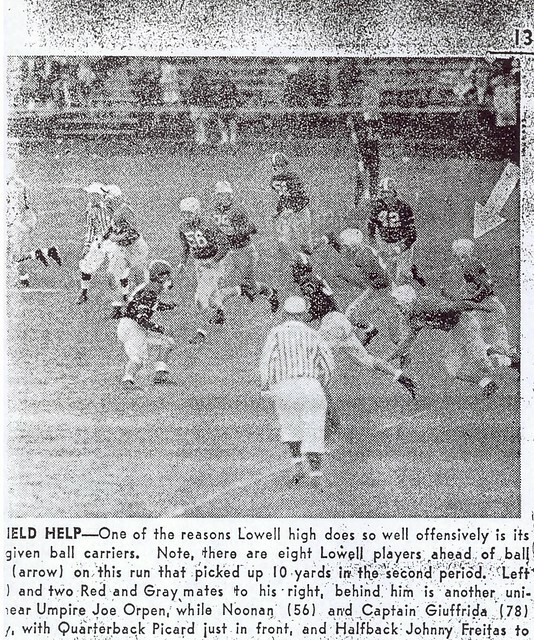 Don was a member of three consecutive Lowell High State Championship teams (1952–53–54) and played in 32 consecutive Red and Gray victories. 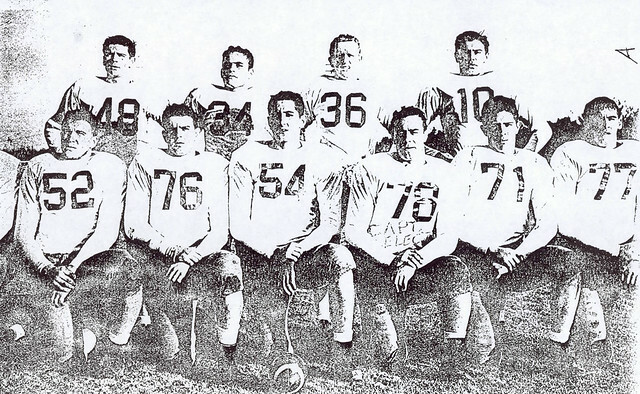 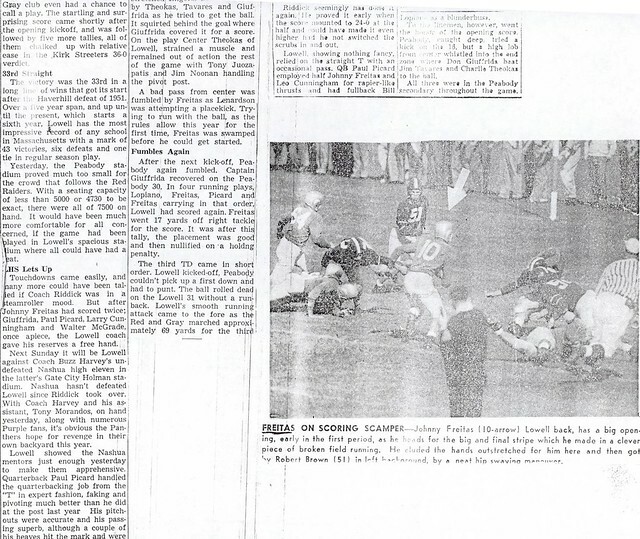 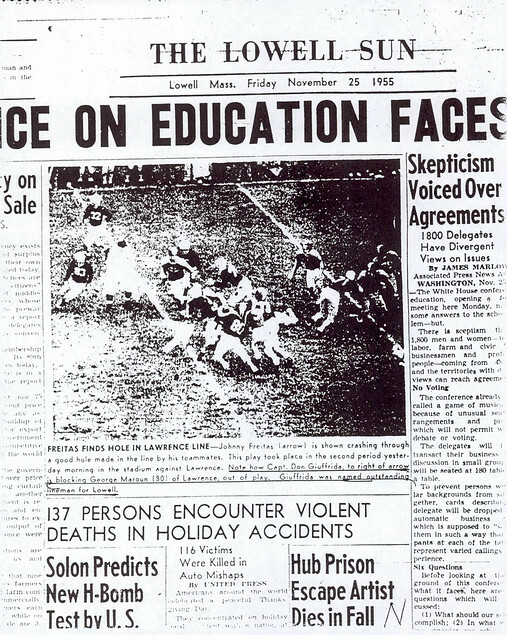 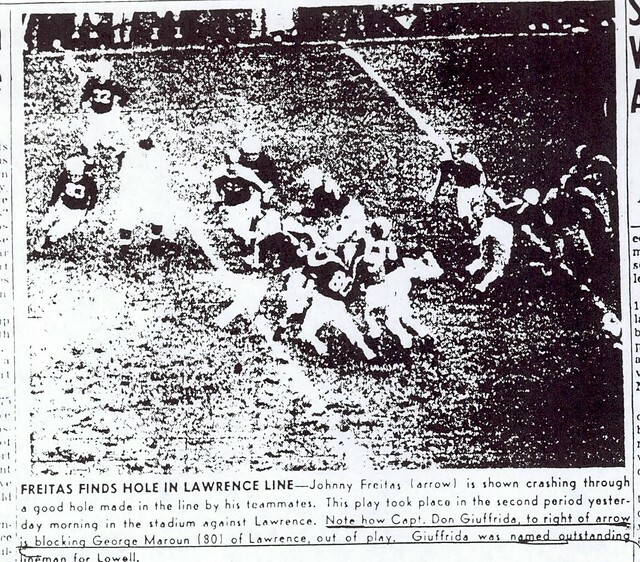 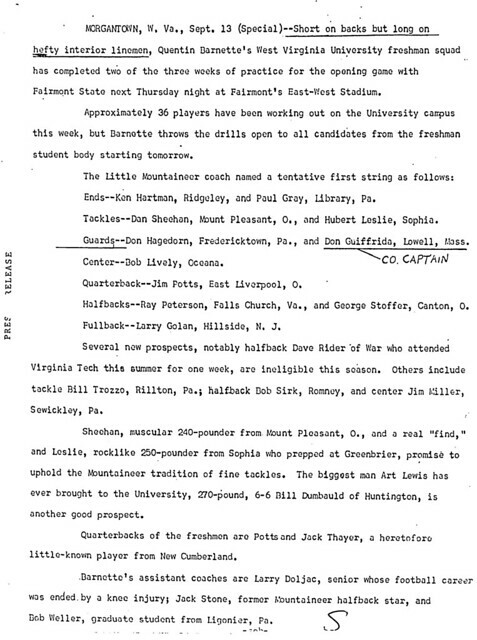 Don played in the Piedmont Bowl post-season game in Winston-Salem, NC, after the 1954 season. 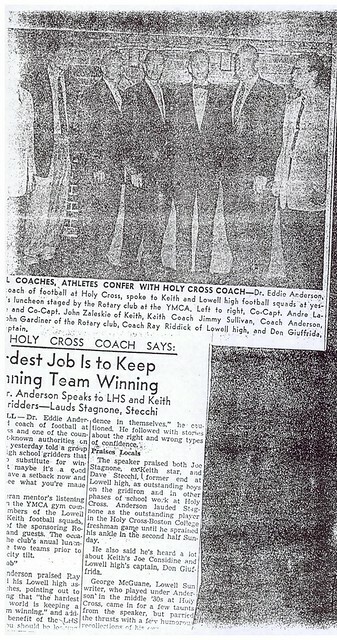 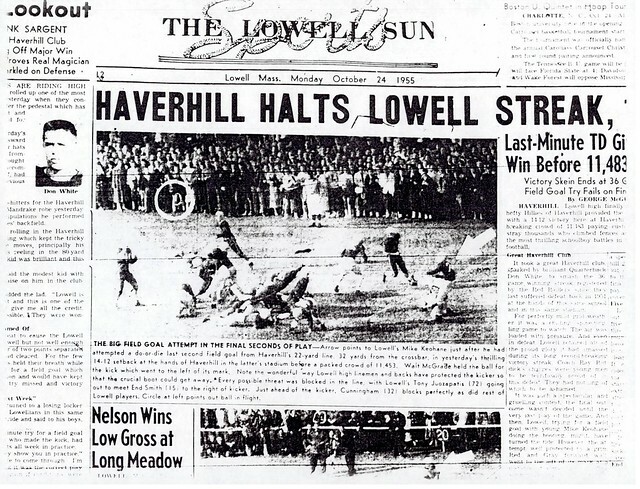 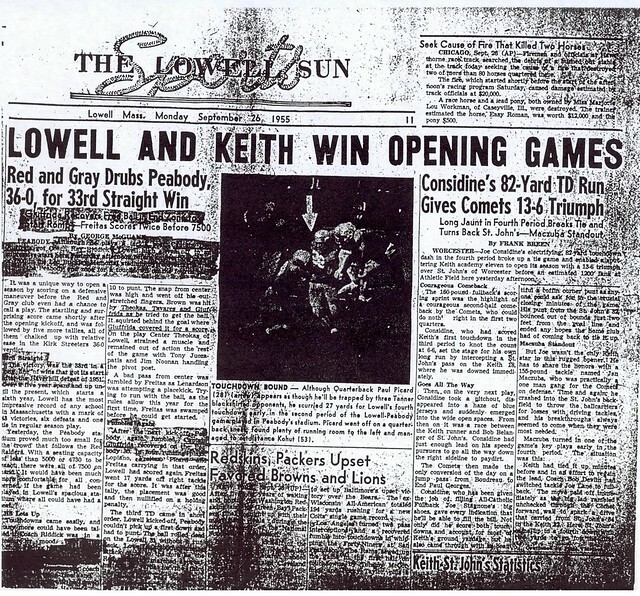 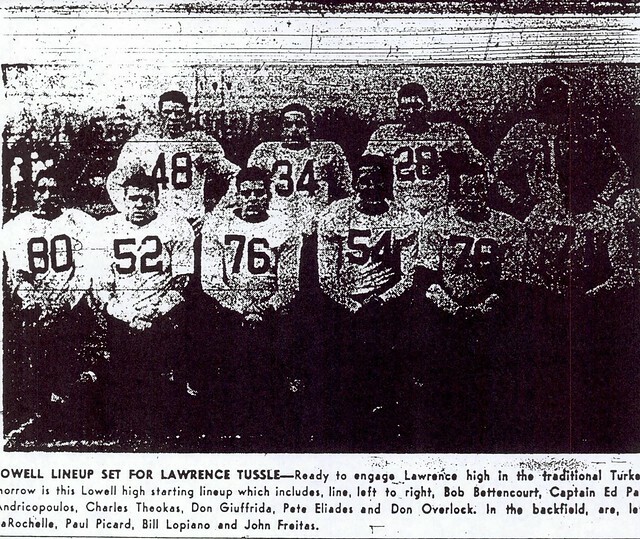 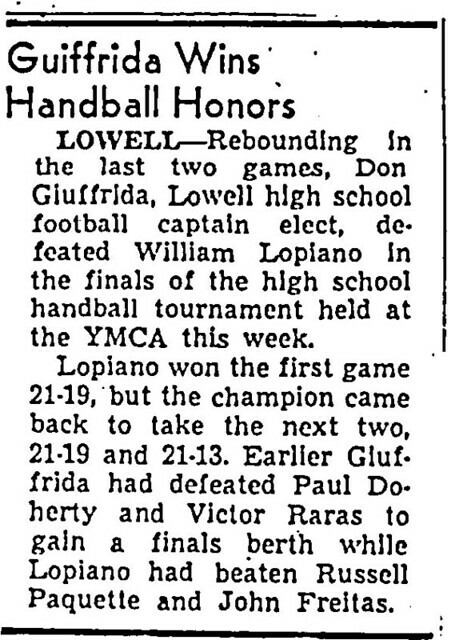 Given the leadership qualities inherent in his durability and consistency, it is no surprise that Don captained both the 1955 Lowell High team and the Greater-Lowell All-Star team in the annual summer Lowell Sun Charity Classic vs. the Greater-Lawrence All-Stars. 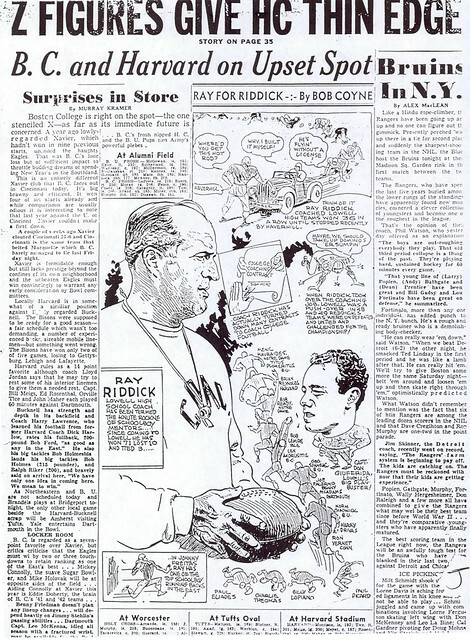 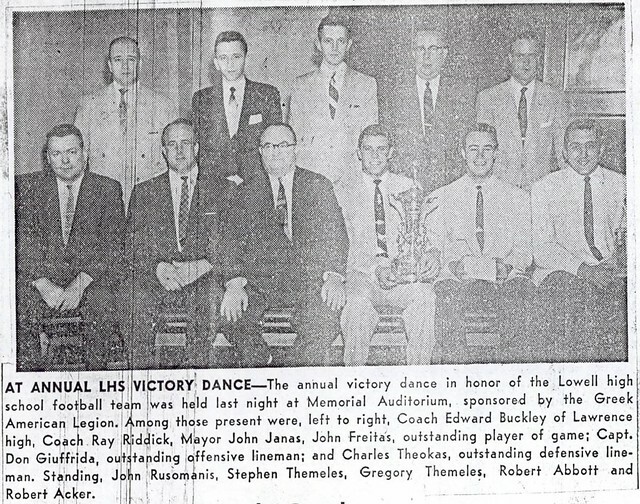 Don was voted the Most Outstanding offensive Lineman in the 1955 contest against arch-rival Lawrence. 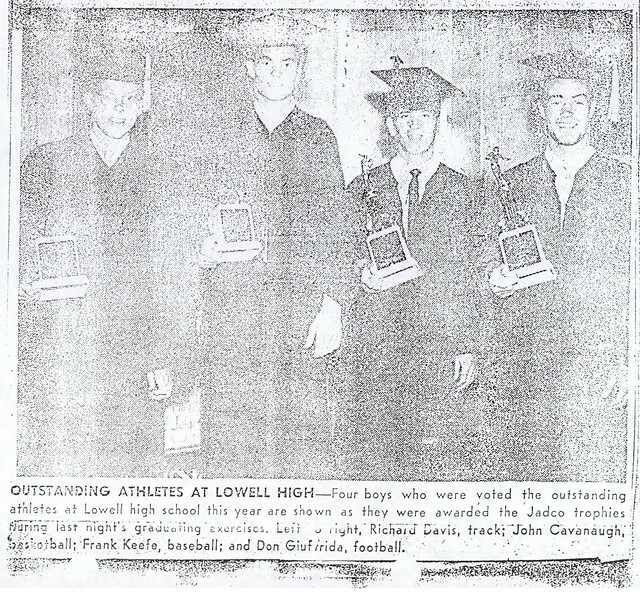 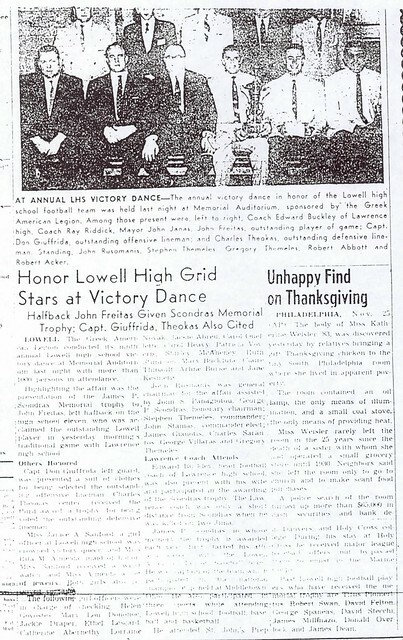 Later he was voted Lowell’s Most Valuable Player for the 1955 season. 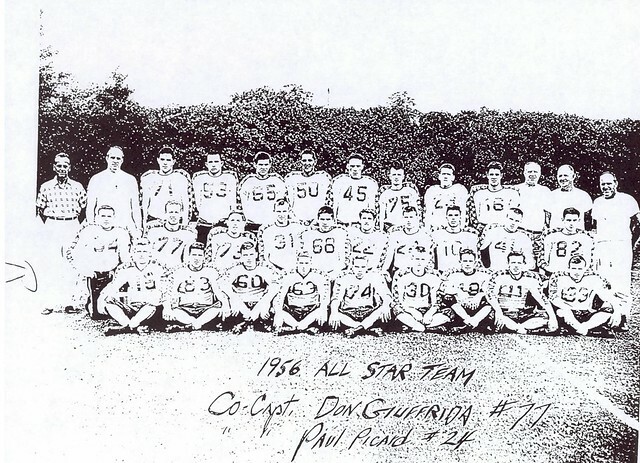 Don received All-State Football honors after both his junior (1954) and senior (1955) seasons, a rare feat. 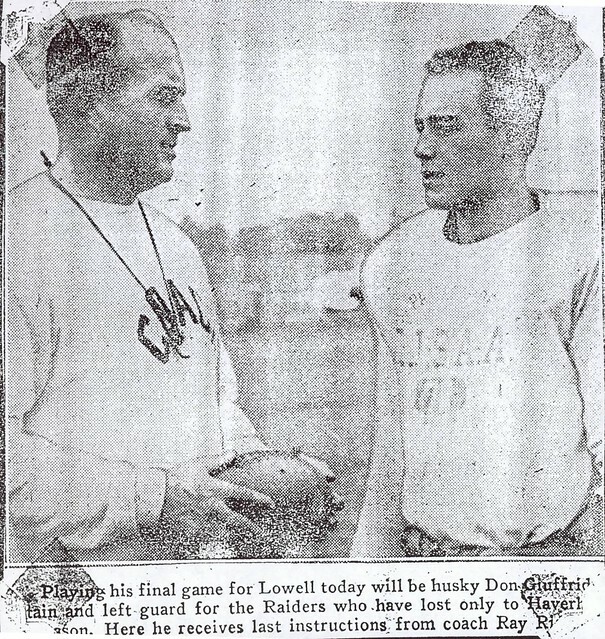 After graduation, Don enrolled at West Virginia University. 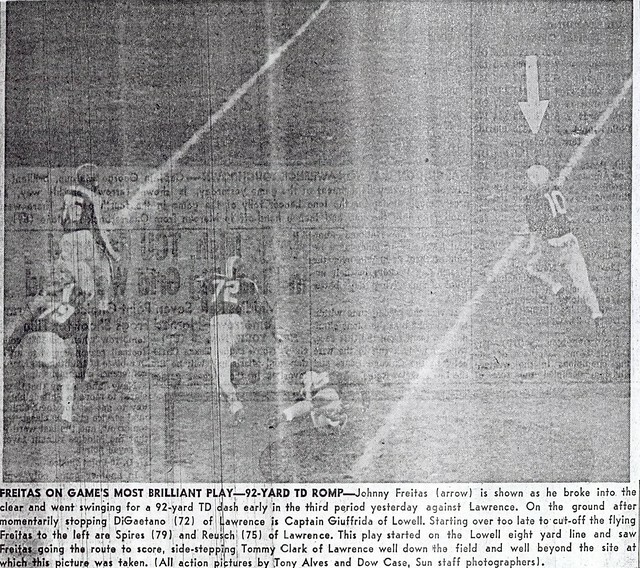 Elected as Co-Captain of the Freshman team in 1956, Don was instrumental in the Mountaineers’ undefeated 9–0 season.